Ta-yang (Diane) Hsieh received a B.A. in Psychology from the University of Wisconsin-Madison under the mentorship of Dr. Janet Hyde, studying the gender differences in adolescent math learning. Diane also has an additional major of Human Development & Family Studies and a certificate in Criminal Justice. 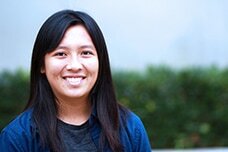 As a Ph.D. student in UCI School of Education under the mentorship of Dr. Sandra Simpkins, Diane is studying the ecological factors of student academic motivation and underachievement. She is particularly interested in the effects of family, peers, and culture. Originally from Taiwan and educated in an international school before college, Diane was privileged and grateful for a multicultural upbringing. The human diversity that Diane saw during traveling to more than a dozen countries, and the lived experiences she had in various societies has always inspired her to be an educator and researcher in psychology.